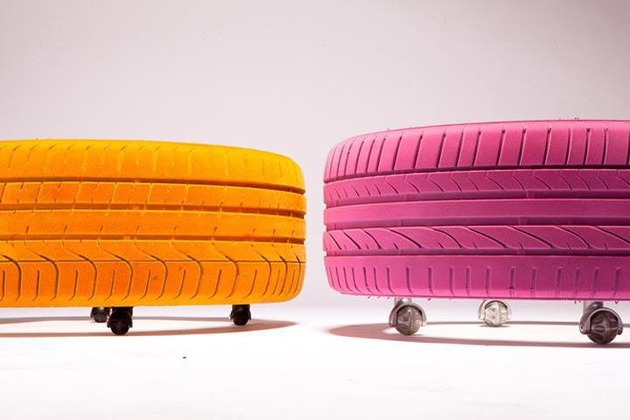 How’s this for “body shop chic?” This cool tire table from Tavomatico features two circular discs of plexiglass – one on the top and one on the bottom, turning a tire into a tabletop with storage space inside. 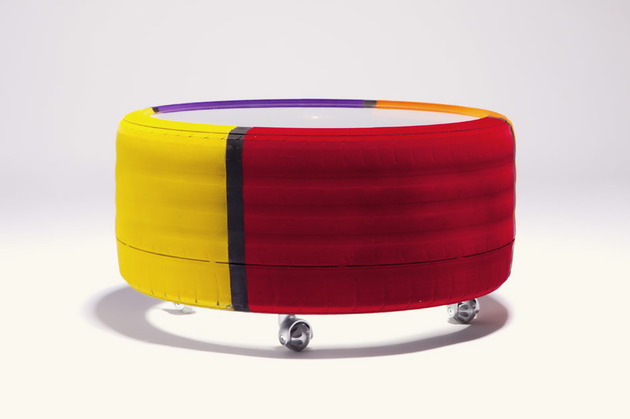 Four small wheels mounted to the bottom let you roll this unusual table to your desired location – in the living room of your designer homes or den, home office, studio, or to the man cave – this piece is certainly dressed the part to fit in the interior design of your beautiful homes. 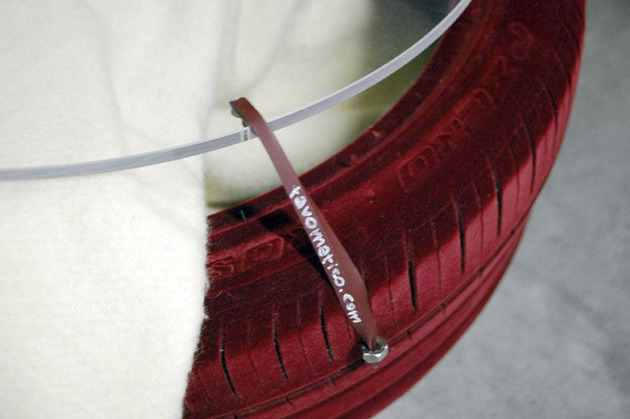 The thick, chunky tire tread brings a bit of built-in texture to the design, but it’s all been finished to make it smooth, odorless and resistant to wear and tear. 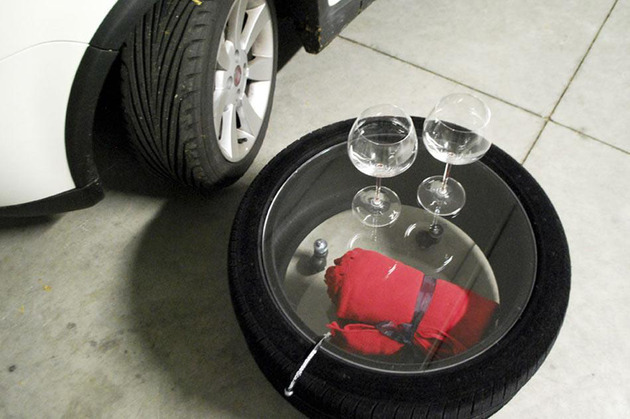 But with its original intended use for the road, there’s not much this little table can’t take. The traditional black finish screams industrial chic, or opt for a vibrant color to transform this former auto element into a fabulous furniture piece. An optional LED light takes this modern table to the next level. What designer ideas to better design your home. 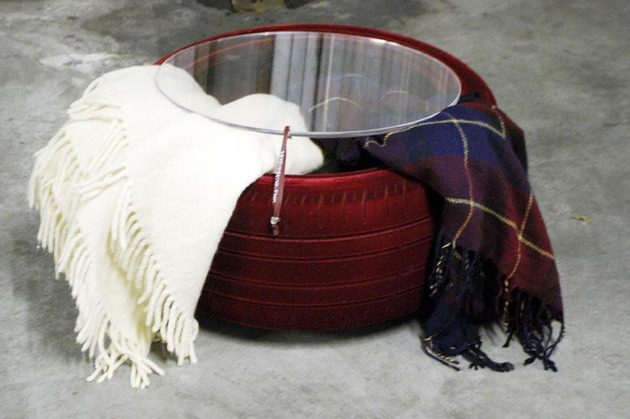 The tire table is available in a range of sizes and color options. Check it out by visiting Tavomatico.